Today was a work day. I saw a lot of interesting things I could show you, but I decided this one wins. I was surveying a property that was an old farm house- lots of things that weren't up to snuff. 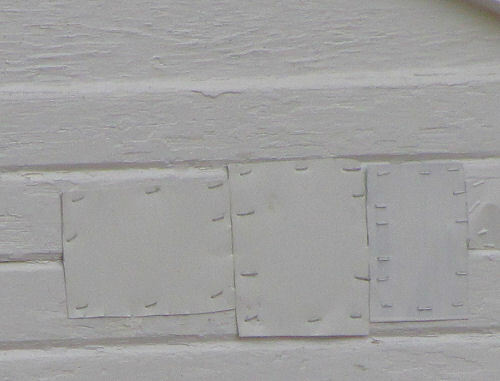 There was one garage on the property that was nicely painted, and some damage to the siding had been patched with metal before the painting was done. So, let's see... we have a large house, and five outbuildings. One of those six buildings is in good shape. So which one does the woodpecker want? Of course. Never a doubt in your mind was there? And just for pure spite, he likes the buffet right below the patches. "Mmmmm.... there are good bugs in there. I wonder why those funny humans put this white stuff over them. O well, it's only superficial. No problem." Brilliantly followed and developed. Great! I never saw a woodpecker actually at work. Didn't know they did damage to buildings like this. I always thought they just pecked at trees! Great photo sequence! I'm going to share this on my Friday "Things I Learned This Week" post. No, never a doubt. What a fortunate capture for you. :) definitely made me laugh, though I feel for the owner of that house. Hmmmm...he's either a good birdie for pointing out that you have a bug issue or he's naughty for trying to build a house in your building. Karen- any old wood has insects in it... there's one that I keep chasing off our house too. Ann- I'm sure they were. betchai- has to be discouraging. They clean up one building and it gets eaten. 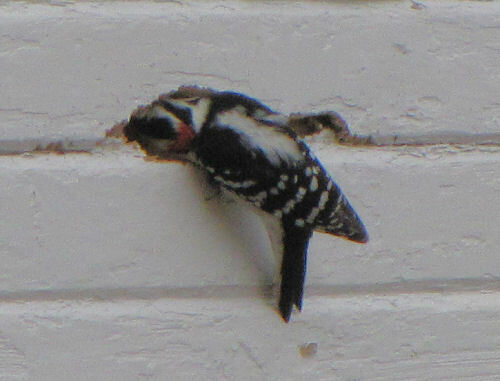 Lin- not my building, but we do have a resident woodpecker too. Look at him go right in the hole for the bugs. I have seen the damage but never the woodpecker in the act. 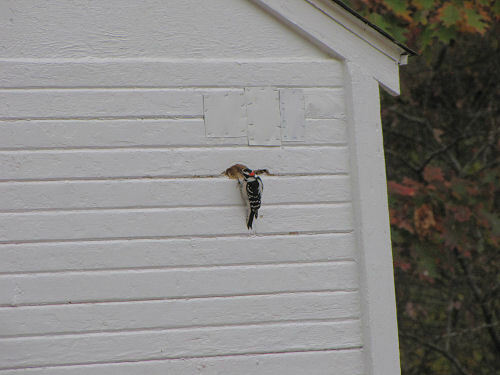 I never realized woodpeckers could actually created so much damage. Bugs and such don't seem that appetizing to me. Now, for a good steak, I might be able to make a large dent in a wall! This is really interesting post. A woodpecker really doing a funny job. a painted house. You repair old damage and paint. 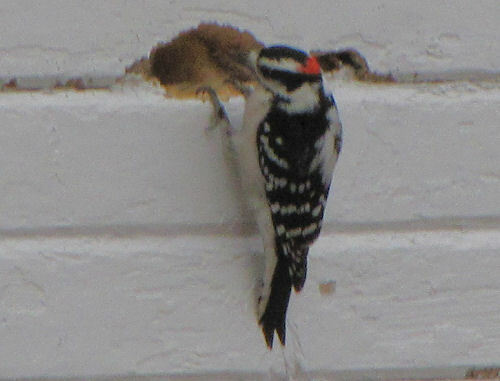 But woodpecker create new hole in the wall. This is really so funny. 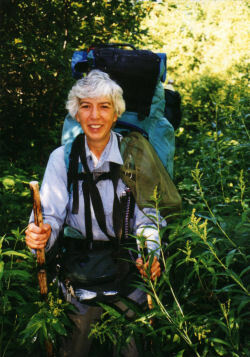 Ha.... Ha... ha..
Maggie Says- "Pay Attention in the Woods"